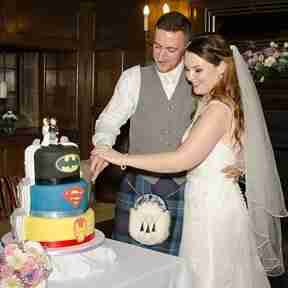 View some featured real weddings of fun loving couples getting married at wedding venues around Fife, Edinburgh, Clacks. Planning to get married for less anywhere around the provinces of Fife and Scotland during the forthcoming wedding seasons of 2019 / 2020? Looking for low cost deals on a wide range of inexpensive wedding packages from the number one household name in the craft of matrimonial photography in Fife? You won’t find a better offer on all-inclusive wedding photography for less, get budget friendly wedding package deals with our picture perfect bundles for weddings in Scotland from legendary Fife wedding photographers Colours Photographic. Book your wedding with the UK’s most affordable wedding photographers in Fife for Scottish wedding photography today and snap up photo booth hire for free with guaranteed sensational savings on last-minute wedding offers. 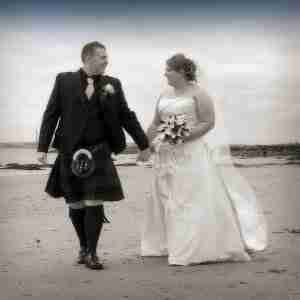 We’ve got a whole range of very affordable fully inclusive deals on wedding picture packages available to choose from for reasonably priced wedding photography at family weddings in the top 3 wedding destinations across Scotland, Fife, Edinburgh and Clackmannanshire, with low prices and great deals you’ll just adore on our wedding photography services during 2019, you could save hundreds. With a Colours Photographic all-inclusive wedding package deal you get photography, album, photo booth hire and canvas prints all included, complete with our best price match guarantee. Why not partner with Colours Photographic on your wedding day and get more for less from Scotland’s No.1 most popular wedding photographers in Fife. Pop into our Dunfermline photography store and studio today for a chat, we are trusted by Scottish brides and grooms Nationwide. When it comes to laid back wedding photography in Fife as sophisticated Dunfermline wedding photographers based in Fife, we really do know our stuff. Colours Photographic are knowledgeable wedding experts and Scotland’s longest established professional wedding photography company in Fife, with over 30 years experience working within the Fife wedding industry, you can be sure as market-leaders we are at the cutting edge of style and creativity. If you are a Fife bride looking for inspiration and ideas for your wedding day pictures in Scotland, take a look through the various wedding services categories of our website listed above to learn more about our unique blend of creative craftmanship and expertise. If you have arrived here from our photographic studios home page looking to find budget-friendly wedding photography offers in Fife at irrestible prices. We salute you. Colours Photographic are professional photographers based within the Royal Burgh of Dunfermline in Fife with a firmly established market leadership and reputation for serving the local community as verified wedding suppliers. 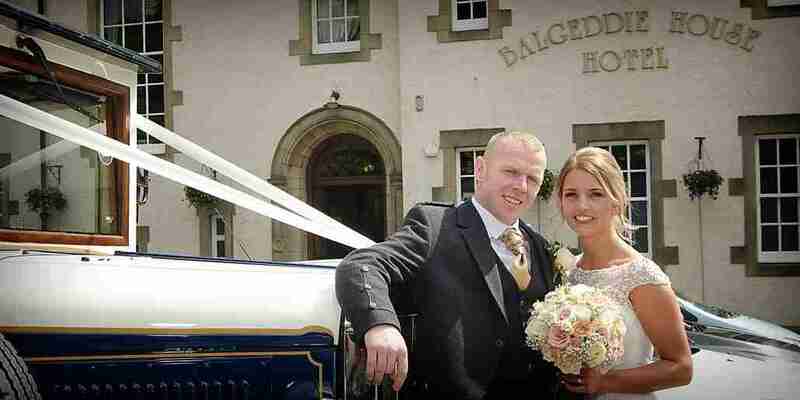 Chronicling weddings in the parish of Fife for over 3 decades. As one of the areas most highly acclaimed contemporary wedding photographers, delivering a full range of quality photographic services to couples getting hitched in Fife and around Scotland. 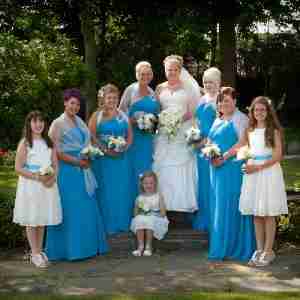 You can be confident in hiring Colours Photographic, we’ve been making wedding memories since 1990. 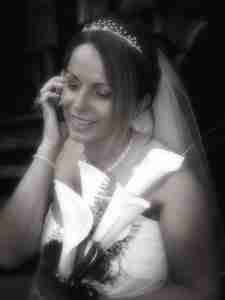 Choose 30 Years Experience, Choose an All-Inclusive Package, Choose A Professional Photographer, Choose Well, Choose Colours Photographic. Please feel free to browse through the various sections to check out our huge range of hand-picked deals and unbeatable prices on all inclusive wedding photo packages and the related finer details. If you have any further questions or would like to make an appointment for a free wedding session consultation and visit our bustling city centre photo studio and showroom in Fife, to discuss your big day and for us to help you find the right wedding photography package deal at the best price. Our wedding services consultants will be only too delighted to assist, we offer free and impartial advice, call us:01383 – 740400 To find true love on your wedding day when you book with Colours Photographic Fife’s best-loved photographers for wedding photography.